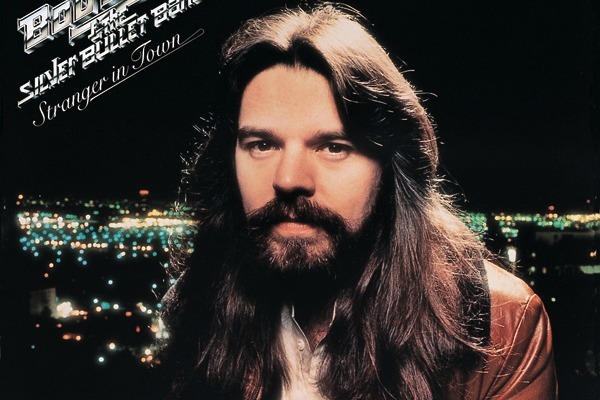 World's Worst Songs: Bob Seger's "We've Got Tonight"
We cropped this picture to give you the full, impressive effect of Bob Seger’s full, impressive, 1978 hair. Lots of dudes looked like this back then. It was the hairiest time ever. OK, this one hurts. But in the grand scheme of things, it was not entirely unpredictable. No artist with a major reputation needs the comprehensive box-set treatment more than Bob Seger, although he and his label are content to keep recycling the same post-1977 hit singles and familiar album tracks. His early albums are out of print and are likely to remain so. The mature artist, rather than the rock ‘n’ roll kid capable of burning down the whole neighborhood on albums like Mongrel or Back in ’72, is apparently the Bob Seger Bob Seger wants history to remember. The 1977 album Night Moves is Seger’s monument. About a year-and-a-half later came Stranger in Town. It’s taken me a long time to figure out how to describe the difference between the two, but I think this is it: Night Moves is the natural extension of what came before it, the distilled essence of everything Seger learned and did on those records that so few people bought, while Stranger in Town is audibly striving to be Night Moves II. That was good business, because Stranger in Town is quite good and became a smash. But it also contains one of the World’s Worst Songs. It was similarly good business for Seger, now that he was a mature artist, to try a ballad after a string of rockin’ good singles. But sweet mama, “We’ve Got Tonight” is dull. It starts dragging from the first second, and the Muscle Shoals Rhythm Section, which backs Seger on the song and not the Silver Bullet Band, is wasted. (Poor Barry Beckett’s piano work consists mostly of the same two chords repeated over and over again.) It runs a positively interminable 4:38 on the album, and it still seems wicked long on the single, even though it cuts out a full minute. As a longtime radio jock, I can tell you that “We’ve Got Tonight” is an extraordinary momentum killer. Play it after an uptempo record and your show comes to a screeching halt; play it after another ballad and you create an energy-sucking black hole that’s liable to shut your transmitter down out of sheer boredom. However: it does run 4:38, so if you need to go to the restroom, you’ll have plenty of time to get there and back while it’s playing. Here’s a live version from 1980 with Seger at the piano. It’s marginally more interesting than the studio version, but I bet it killed the momentum at his concert, too.